Inclined Belt Conveyor(also name as fixed or angle belt conveyor) is transmission equipment with large transportation capacity. It is a durable and reliable component used in automated distribution and warehousing. It is low cost and widely used in industries of chemical, coal, construction, hydropower, light, metallurgy, mining, port, petroleum and etc. Besides, those in general material handling such as moving boxes along inside a factory and bulk material handling such as those used to transport large volume of resources and agricultural materials such as grain, salt, coal, ore, sand, overburden and more. (1)The conveyors consist of standard parts, which are advanced and simple in structure, easy to maintain. 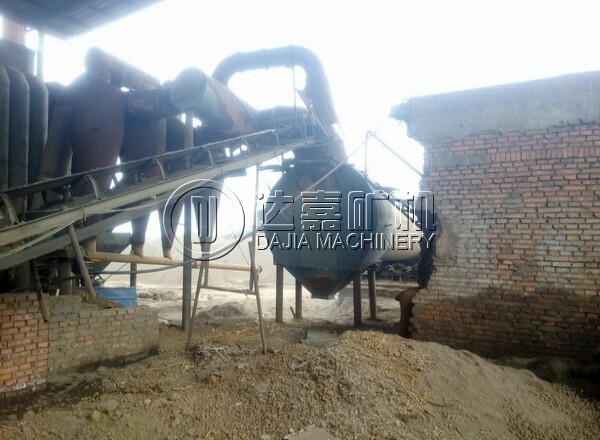 (2)They are widely used in mining, metallurgical and coal industry to transfer sandy or lump material, or packaged material. (3)According to different transferring equipment, the transfer system can be one independently or multi-conveyors or combined with other transfer equipments. (4)The Belt Conveyor can be installed horizontally or aslope to meet the needs of different transfer lines. (5)The temperature of raw material can’t surpass 60°c. (6)The length and shape can be certain by user. Transmission available electric drum also can use tape drive rack driving devices. Note: the parameter above is just for reference,it can be customized by different requirment.